Using individual molecules instead of electronic or magnetic memory cells would revolutionise data storage technology, as molecular memories could be thousand-fold smaller. 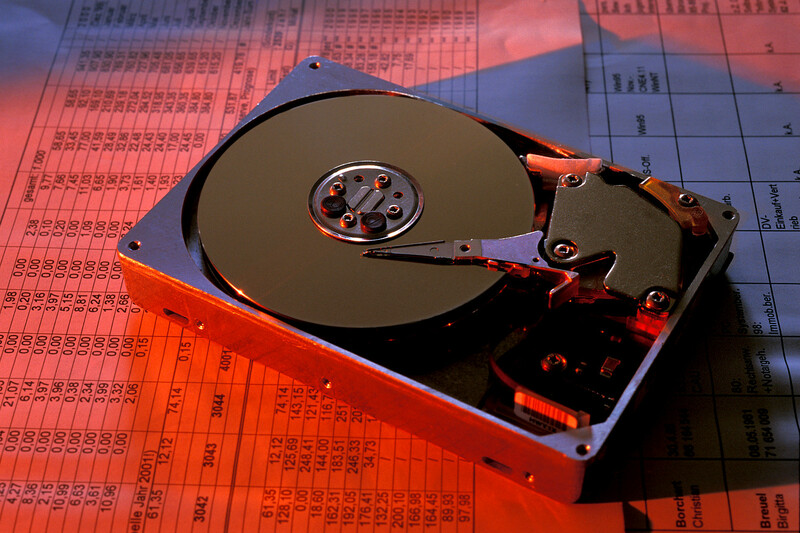 Scientists of Kiel University took a big step towards developing such molecular data storage. They succeeded in selectively switching on and off the magnetism of individual molecules, so-called spin-crossover complexes, by electrons. The interdisciplinary study is part of the Collaborative Research Centre 677 “Functions by Switching”, which is funded by the German Research Foundation (DFG). 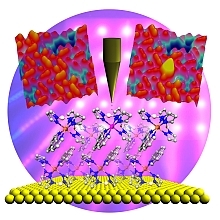 The results prove that it is technically possible to store information using molecules. The study will be published on June 25th in the German science magazine “Angewandte Chemie” (Applied Chemistry). “In principle information may be stored in a single molecule. However, techniques that would make such an approach feasible are becoming available just now”, explains project leader Professor Richard Berndt of the Institute of Experimental and Applied Physics at Kiel University. Since the 1980s scientists are able to image individual molecules on surfaces with scanning tunnelling microscopes, he continues. Current research aims at controlling the characteristics of single molecules in order to facilitate future technical applications. The Collaborative Research Centre 677 “Functions by Switching” at Kiel University is a large-scale project engaged in such investigations, which aim at constructing molecular machines. 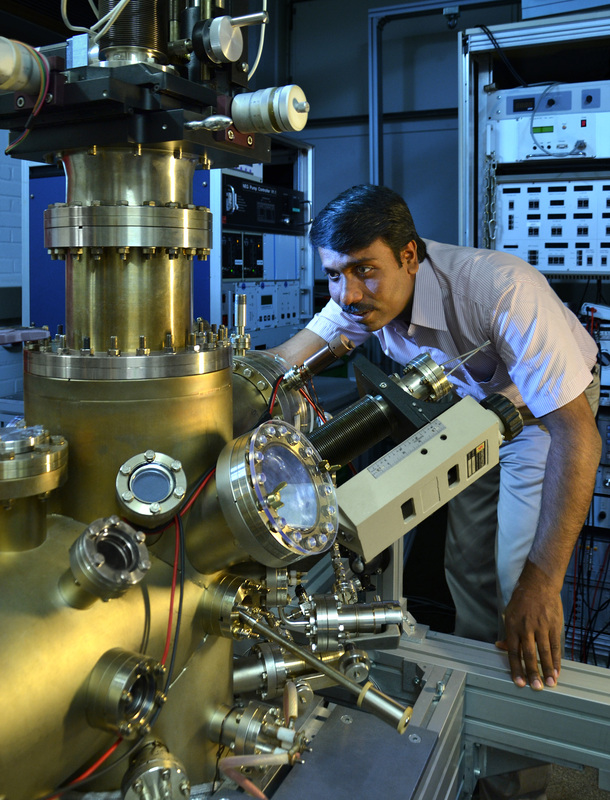 The current study is focused on the magnetism of molecules. 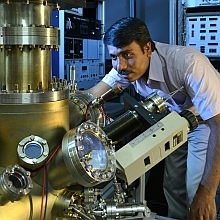 Using a scanning tunnelling microscope Dr. Thiruvancheril Gopakumar, who carried out the study, was able to switch individual molecules between two magnetic states. 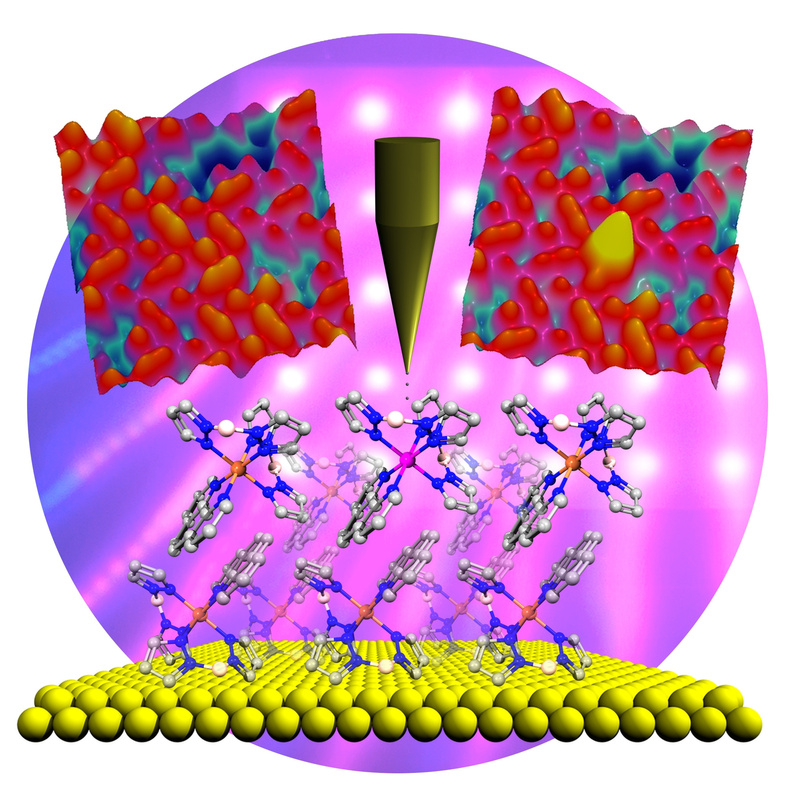 Despite their dense packing in a molecular layer he was able to target individual molecules for switching. “Many research groups are striving to control the magnetic characteristics of molecules. Gopakumar’s studies have taken us one step ahead”, says Berndt. The molecules (spin-crossover complexes) were synthesised at the Institute of Inorganic Chemistry at Kiel University. “Even though it took us a long time to find adequate molecules, we are very pleased with the outcome”, states Professor Felix Tuczek, head of the research group “Inorganic Molecular Chemistry”. The next step will be to adapt the molecules in a way that would allow scientists to switch them with light instead of electrons and at higher temperatures. switchable molecules at the scanning tunnelling microscope.